WHAT YOU WANT: A practical and efficient way of keeping the inside of your car cooler and more comfortable during the summer, while protecting the interior from sun damage. 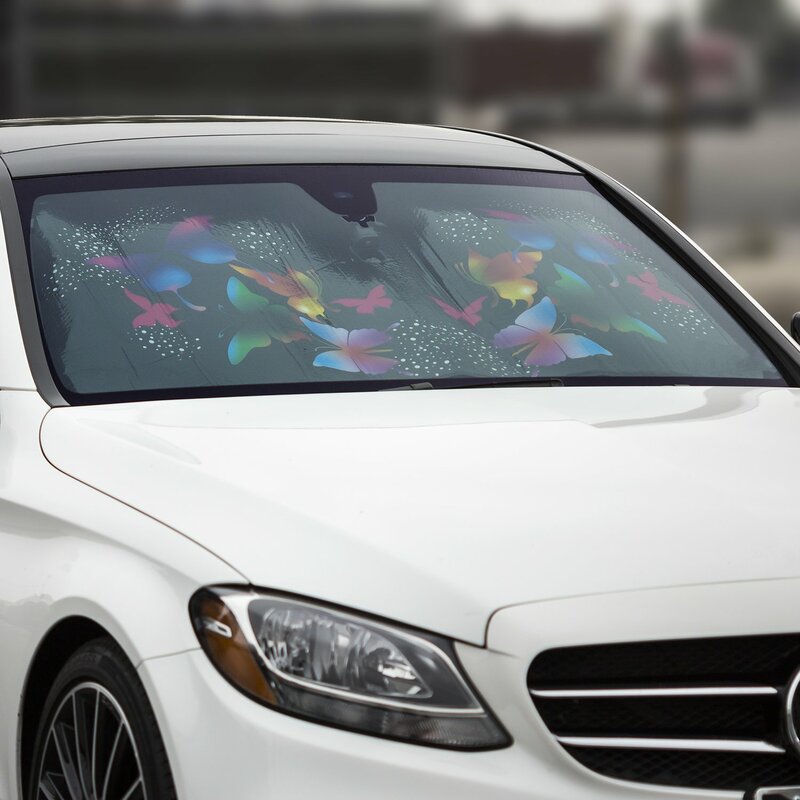 If you need a subtle and elegant windshield sunshade that's also good at its job, then we offer the perfect solution! 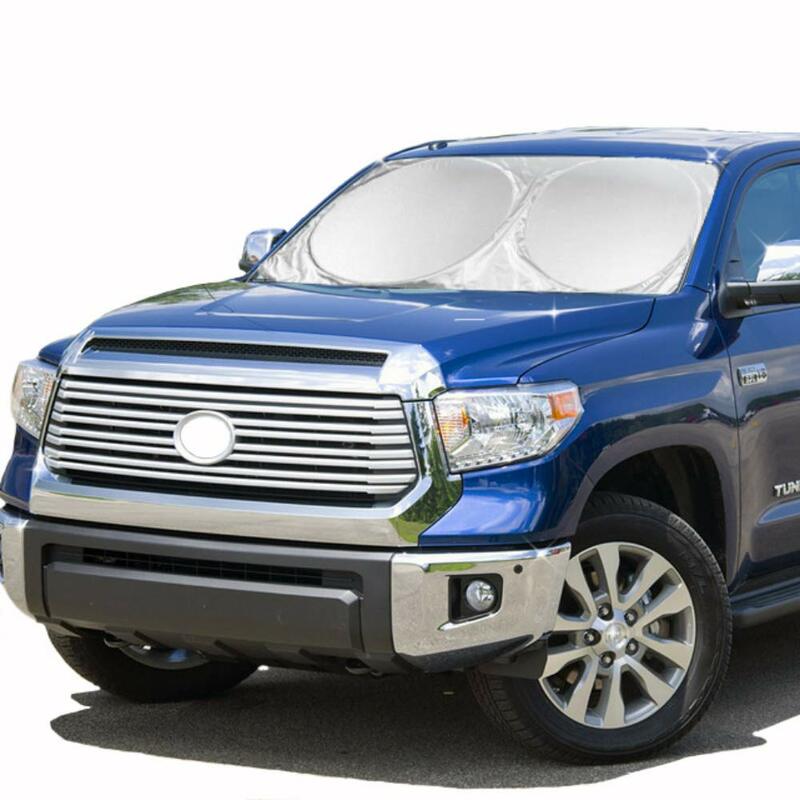 PREMIUM MATERIAL QUALITY CONSTRUCTION: This deluxe edition car windshield sunshade is made from superior quality, extra-durable, double-layered reflective material to deflect sunlight and withstand the test of time. The bubbled texture helps create an insulated barrier that keeps the interior cool. KEEP CAR INTERIOR COOL: If there’s one thing bad about summer, it’s that heat wave and unbreathable air that hits you when opening your car. 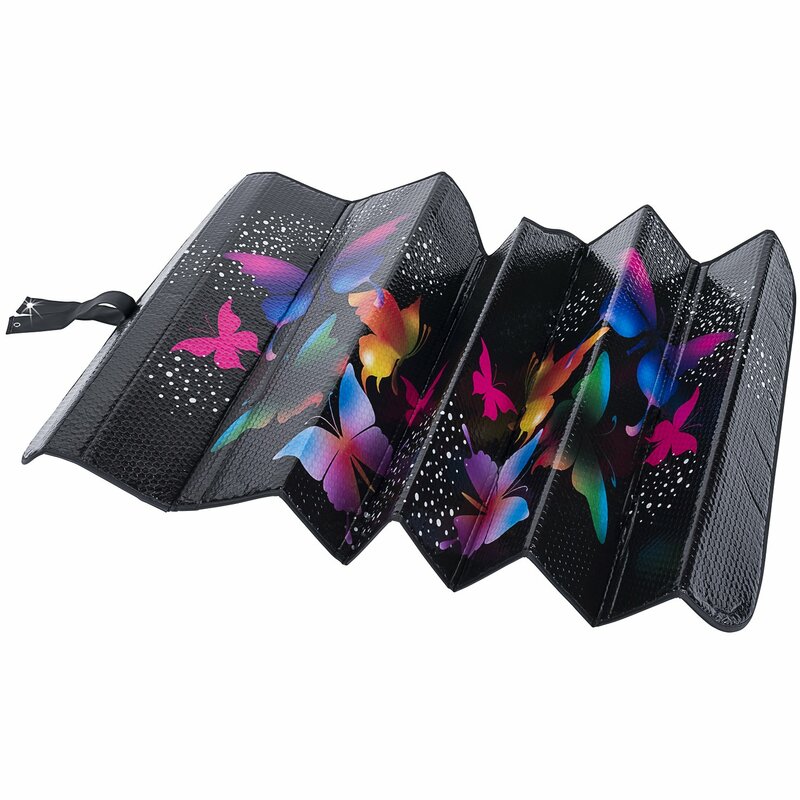 This accordion fold sunshade provides efficient insulation, keeping a cooler interior temperature and making your travels more comfortable. 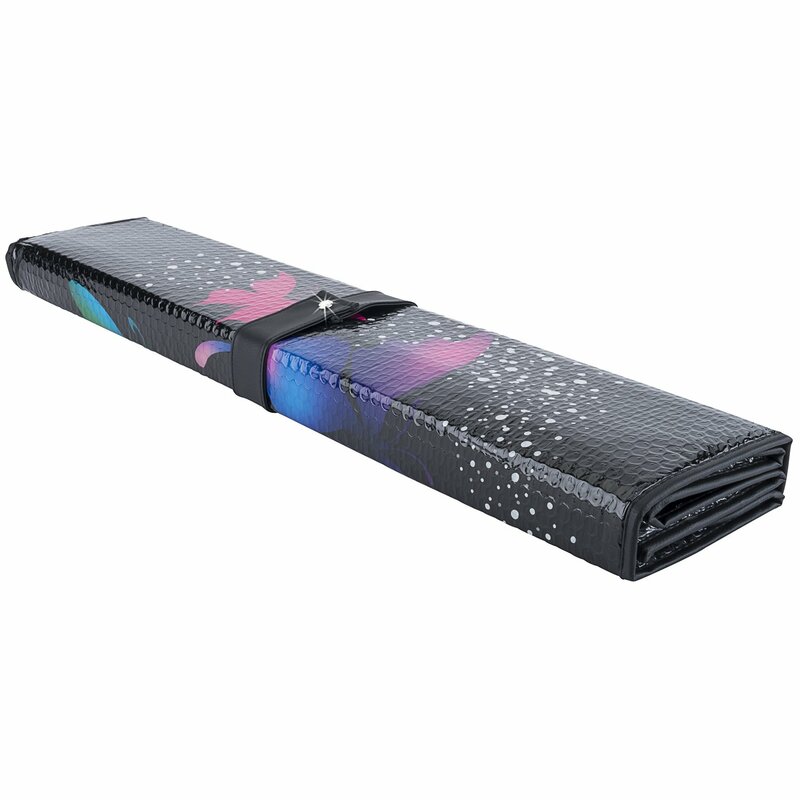 INSTALLS IN SECONDS: The front windshield sunshade provides a universal fit for any vehicle, and features an accordion design which is easy to install, fold and store. 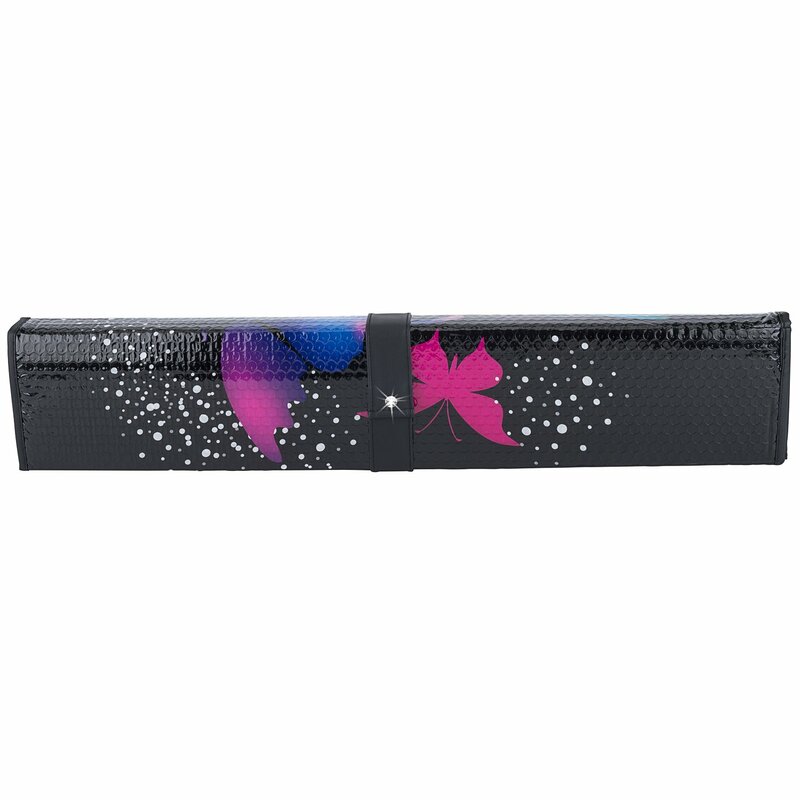 UNIQUE SWAROVSKI DESIGN: This special edition sunshade will definitely turn heads! 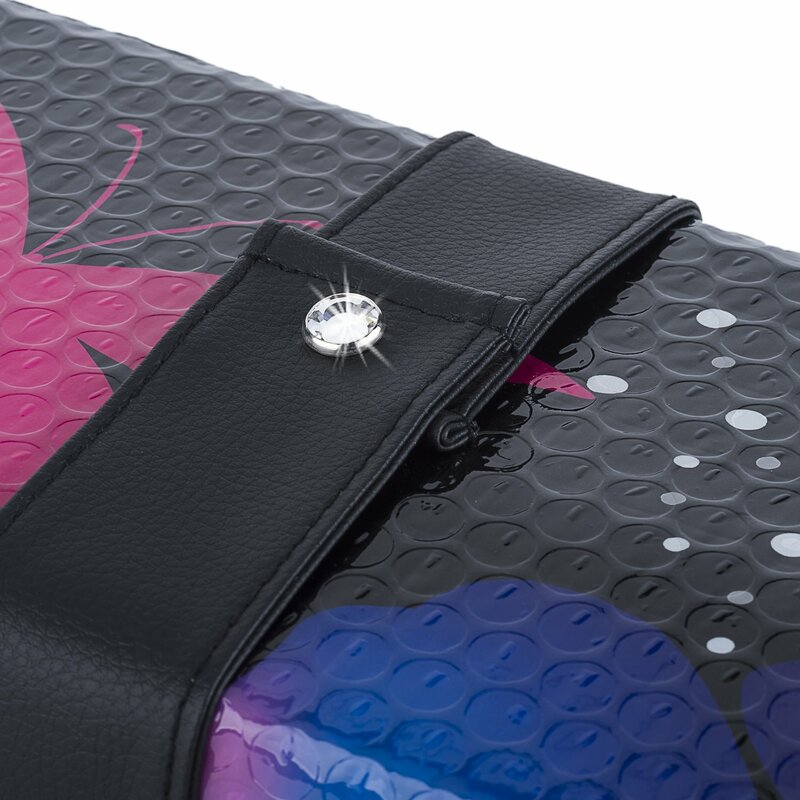 The Swarovski crystal adds a touch of elegance and class to your vehicle, while subtly sparkling in sunlight or moonlight. An elegant accessory with ultimate function. 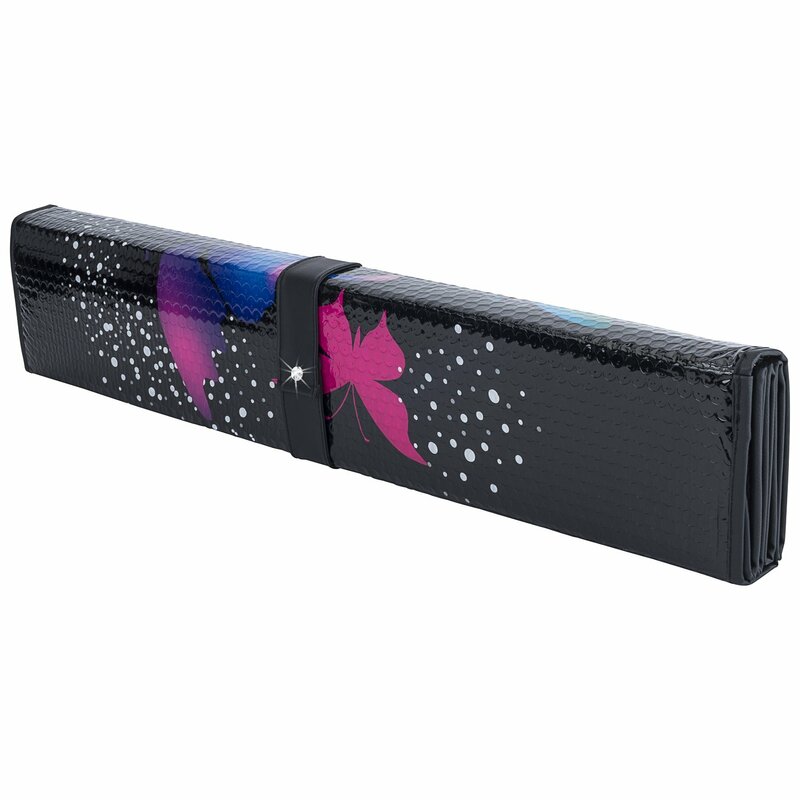 This deluxe edition Swarovski sunshade will not only keep your car protected from excessive summer heat, but will add a special, authentic touch that will give you something to smile about as you walk up to your car! 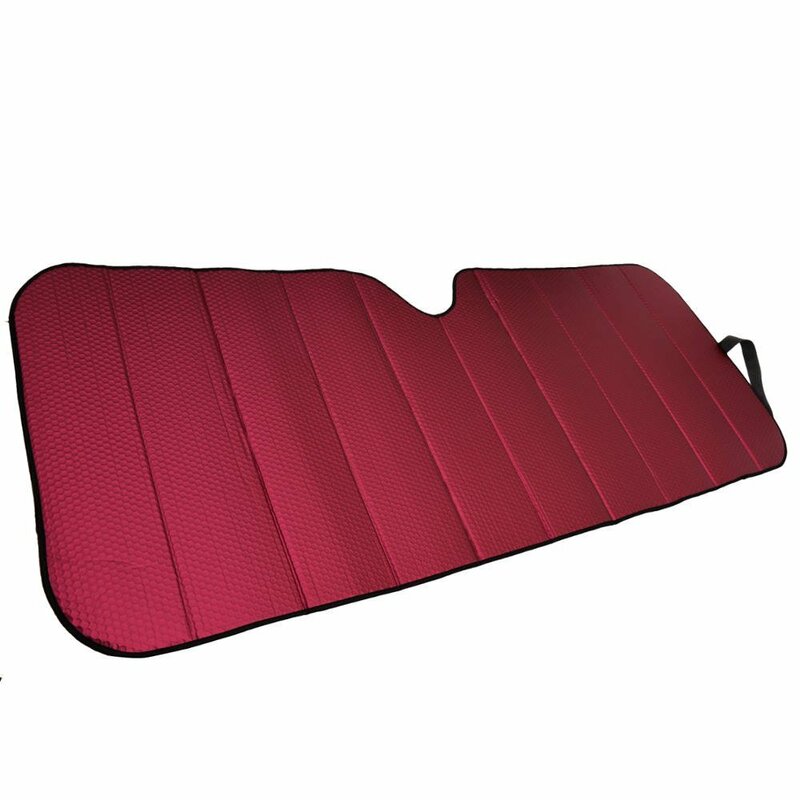 The premium quality materials are durable and keep the car interior cooler, while the foldable design makes it easy to use for any driver. I bought this because it states Swarovski crystal embellished and there is not one crystal. I bought it because it states it has the crystals. I think this item should be removed. 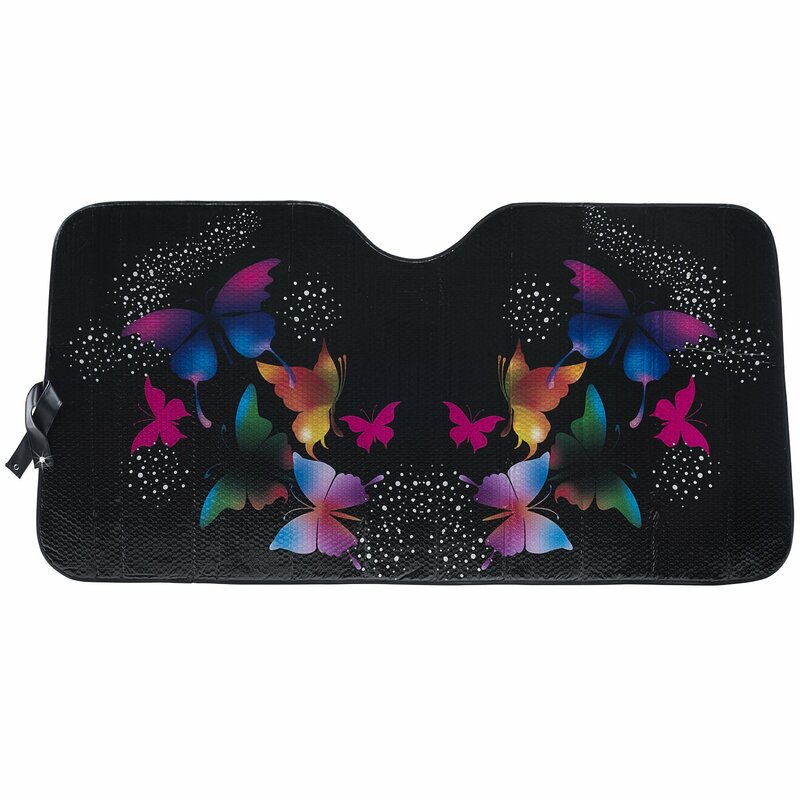 Great product with beautiful design and an excellent price. Perfect fit with a little extra on each side. Very nice strap to keep it together when you remove to store. 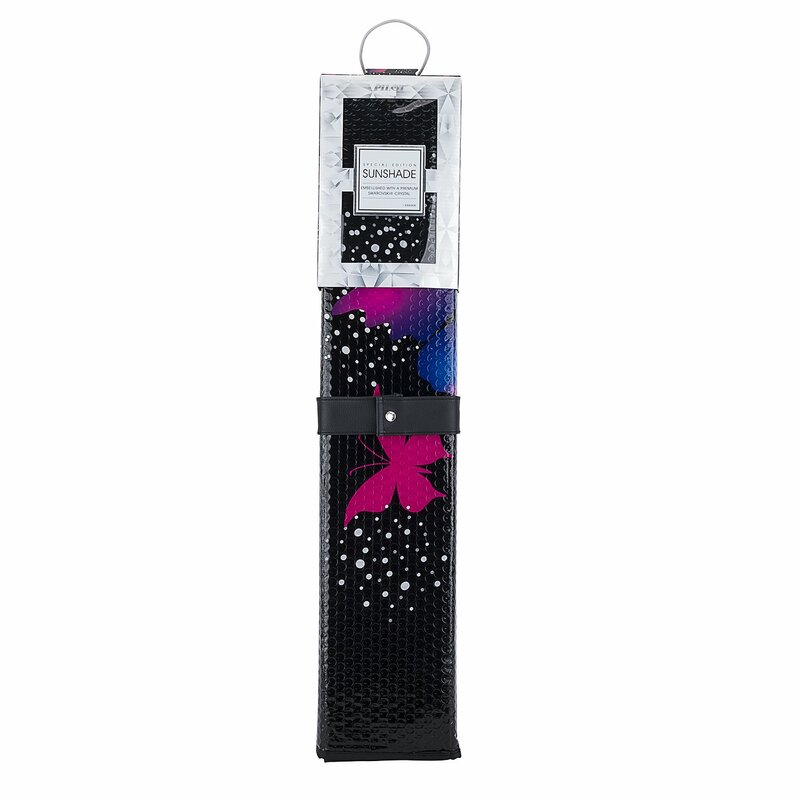 Product is real pretty, love the colors of the butterflies and the crystal snap on the strap is ans added bonus. Happy with this product seems to work really well. Came on time and beautifuly made! Good colorful. A little toooo big for my windshield. I dont use it much. Its to big to fold. And. I always flip the rear mirror. Thats how big it is. But like the butterflies. Arrived in a timely manner and looks pretty. LOVE IT! It looks great in my crossover. The price was perfect too.